Meet Rita, the very first Isobel Smiles Grant! We were very excited to have the Upsee be our first grant as it was one of Isobel's favorite experiences! 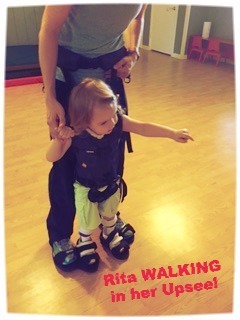 Rita is a beautiful 3 year old with choreoathetosis cerebral palsy who is nonmobile. With the Upsee, she is able to have opportunities to get up off the ground, experience walking, and have more social opportunities. Her parents are looking forward to taking her upsee to the park, playground, and the beach. We love her SMILE! Our second grant recipient was Brooke. 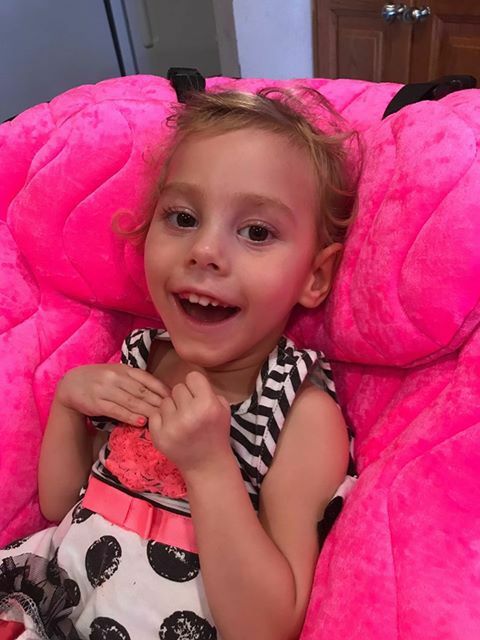 Brooke is a darling 6 year old with Aicardi Syndrome. Brookie (as her parents call her) is known as Brookie the Brave on Facebook for a good reason. She is one tough cookie! Her request was for a postural support chair that allows her to be in a comfortable position at home. The chair will comes with attachments that make it easy for Brooke to play with items and interact with her two sisters at their level. 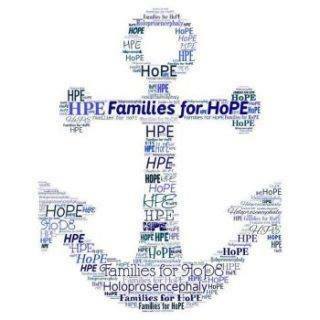 Thank you for partnering with us to make this a possibility for Brooke and her family! Erin was in need of a Light Aide for vision therapy. Erin is a spunky 3 year old girl with Down Syndrome, Seizure Disorder, and Cortical Vision Impairment. The light aide is a tool that helps with learning to track by using different colored lights. It is also a great tool to keep her engaged while she works on other goals like developing core strength. We love that she made a butterfly on her light aide to send us as a thank you :-) You made us SMILE, Erin! Meet Grace! 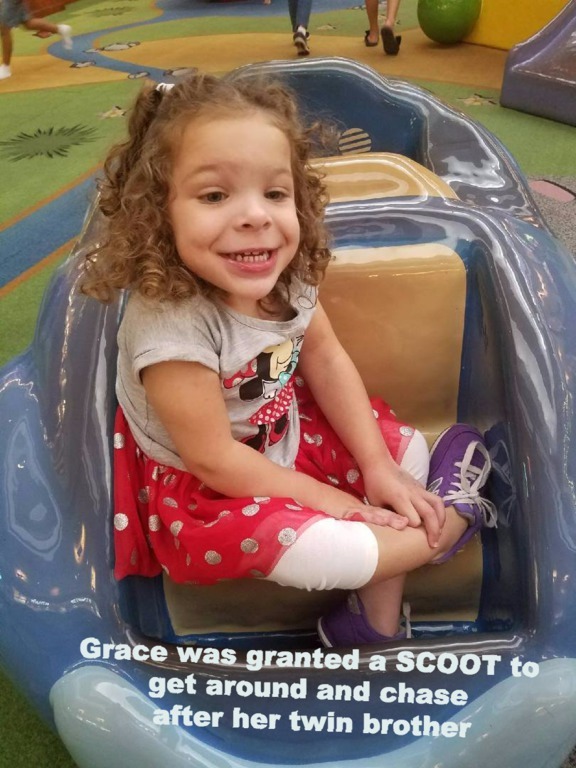 Grace is a beautiful 3 year old with a goal to chase her twin brother around in a Scoot! by Firefly. Grace is dependent on a device (or parent) for mobility due to Cerebral Palsy. We are so happy to see you Scooting around your house and laughing! What a SMILE! 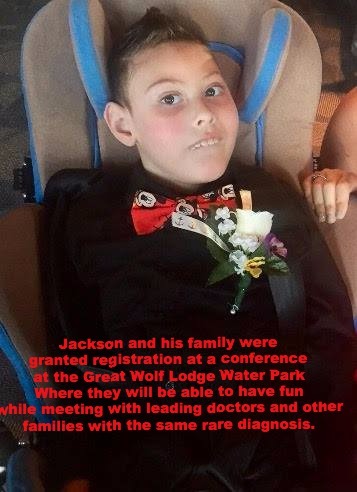 Meet handsome Jaxson, a 10 year old with hopes of attending a conference to have a blast at the Great Wolf Lodge while meeting other families with the same rare diagnosis of Holoprosencephaly. We can't wait to see picture from your trip, Jaxson! Meet Carter. 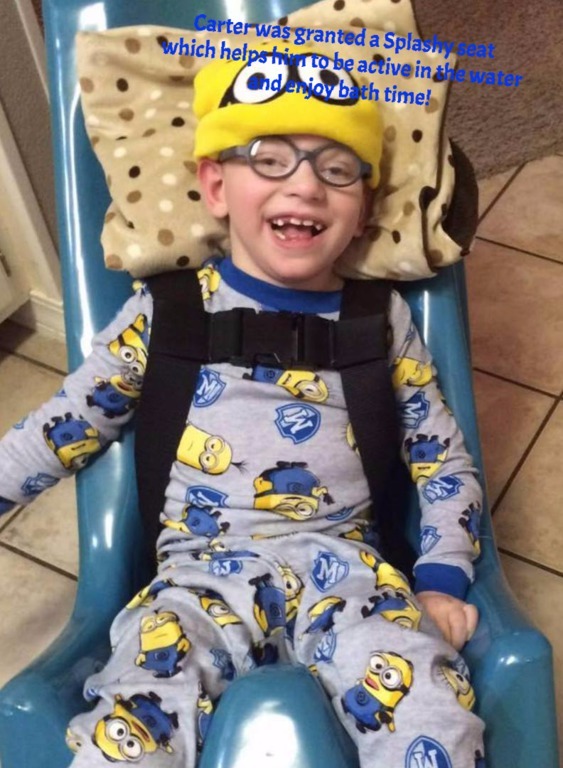 Carter is an adorable 7 year old with Shaken Baby Syndrome. Carter's SMILE request is for a Splashy Seat made by Firefly so he can enjoy time in the water in a bath or at the pool. The Splashy Seat has many degrees of recline and buckles to hold Carter in a safe position while he is bathing or playing in the water. The seat is easy to move and would allow independence for Carter to sit in the water and KICK AND SPLASH! Carter's physical delays are due to being shaken at 5 weeks old. He was adopted by a loving family that works hard to provide as many SMILES as possible. Carter's Law-Love Me Don't Shake Me works to raise awareness for Shaken Baby Syndrome. 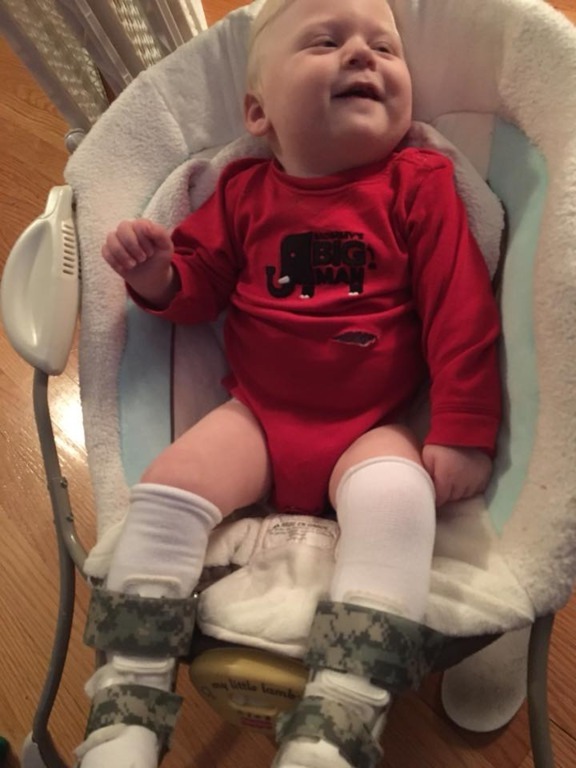 Thank you for all of your work, Carter and Family, we were happy to grant your SMILE! Frank the Tank was in need of some fancy new socks for his AFOs. An easy SMILE to send this guy's way. Happy to help Frank out! 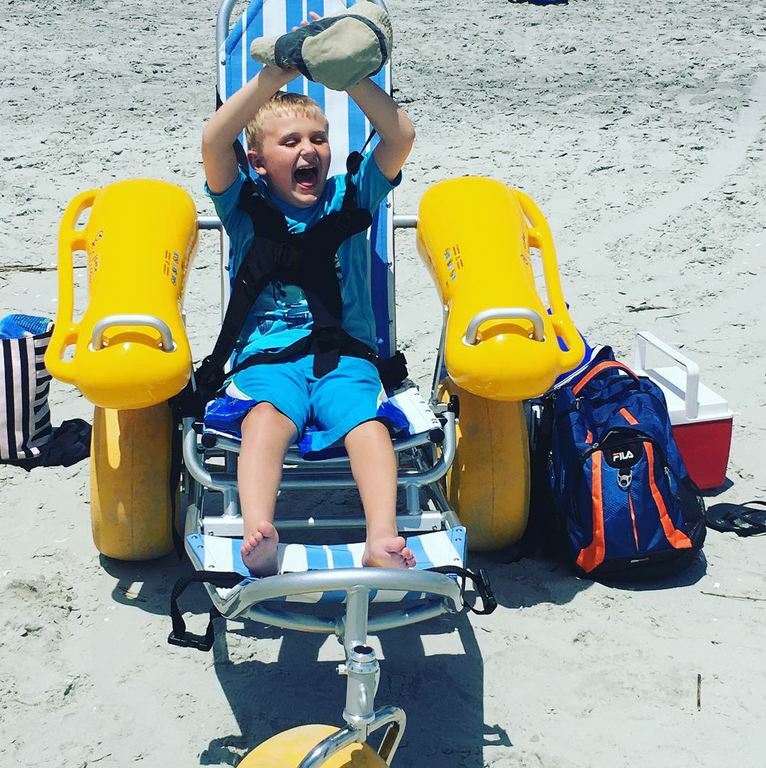 Nicholas has a movement disorder that doesn't allow him to enjoy the beach that is right near his home (wheelchairs and sand do NOT mix!). Isobel Smiles was thrilled to get Nicholas wheeling on the beach and in the water with his new Water Wheels. Enjoy them, Nicholas!! Corrinne has CMV and needed a new seating system that wasn't covered by insurance. The PPOD chair allows Corrinne to be at the same height as her family and enjoy life from a different perspective. We love your adorable smile, Corrinne!